I always wondered why Melissa didn’t have any friends. She had a lot going for her: She was smart enough to be in the gifted program at school. Her parents slathered her with gifts and clothes from the Gap. And somehow, she had magically skipped over the awkward, pimply stage most of us have to suffer through in the 7th grade. Now, you know 7th-grade-girl politics. Any ONE of those things could have propelled her to celebrity status among her insecure, hand-me-down clad peers. But with Melissa, the opposite was true. She was an outcast, and it was all because of what our classmates already knew, and I had to discover. She came to school one day in trendy new glasses. “Yeah, my eyes are really bad,” she explained, with a toss of her hair. Melissa was hoping that by being “special,” she would get the extra attention she craved. But when I spent the night at her house and actually talked to her mom, I found out Melissa’s secret: that none of it was true. Instead of bringing her closer to her dreams of middle school stardom, it did the opposite. Because lying once may go unnoticed…but when it becomes a bad habit? You’re in trouble. See, bad habits can get you the opposite of what you want. 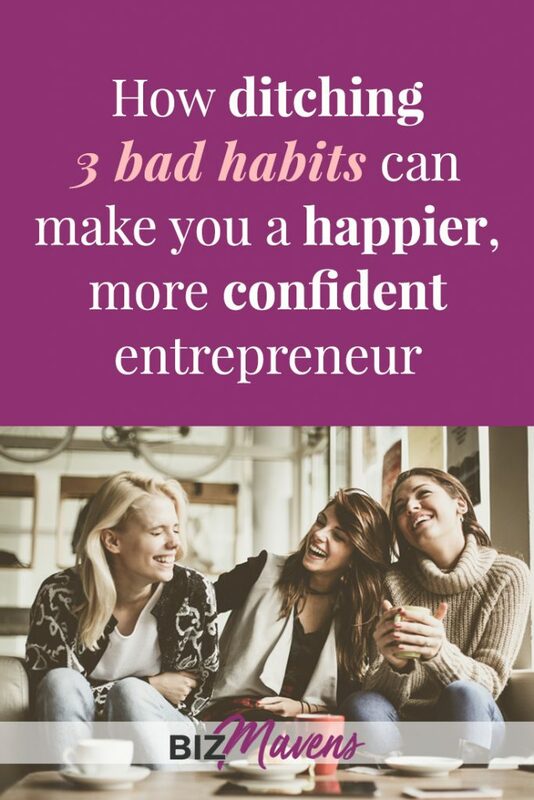 And in your business, you need to shed the bad habits that will keep you frustrated, insecure, and always wondering, “Does everyone else know more than me?” It’s not just your confidence, either—these bad habits will keep you chained to a low-income, 40-hour-a-week online “hobby” rather than building a strong, profitable business. (D) A slightly-older lady who smiles a lot and jokes with her husband of 18 years, and who is fulfilled in her career as well, because her husband is her biggest supporter. My vote, as a woman who’s been there, done that is D.
Sure, you can glean nuggets of wisdom from people who have made mistakes — they have plenty to say, of course! But should you make big decisions based on the advice of people who don’t have what you want? We wouldn’t do this in real life, so why do we do it in business? #1: It’s a bad habit to take advice from people who don’t have what you want. The blogging world, especially, is filled with women from two categories: First, women who have been blogging for 8 years and post 3x per week — and they’ve even gathered a few thousand followers — but they aren’t actually making any money. …and second, women who are making plenty of money, but they’re burned out, addictively scheduling Pinterest pins and Facebook posts to try to keep their traffic churning, and meanwhile their marriages and kids are falling apart because Mom’s Very Important Business is ruining their lives. Listen: It’s perfectly fine to be a generous-but-broke blogger, just like it’s fine to be money rich, but life poor…if that’s the choice you want to make. But if you want to live a different life with a different business from that, then don’t get advice from these people! Do they smile a lot when they’re not performing for Facebook Live? Do they feel fulfilled? See their kids? Do they talk with enthusiasm and delight about what they’re working on in their business? Do they persevere through the same kinds of limitations you have, and show you can be successful despite those limitations? It’s a bad habit to listen to business advice from people who don’t have the quality of life and business you want. Action: Seek out people who are *already doing* what you want to do, and whose lives reflect they’re making choices you want to make. But don’t you have to find mentors + business friends in a different niche than you are? Who write about other things? That’s a lot safer, right? After all…What if they take your ideas or write better posts or sell better than you do? You might shy away from working with the “competition,” but it turns out, competitors are actually the people you should embrace. #2. It’s a bad habit to see competitors as the enemy. 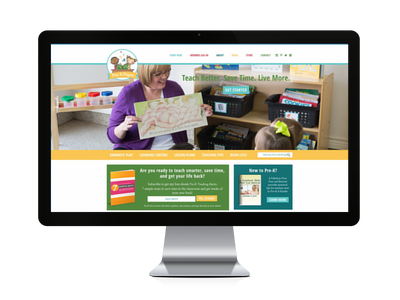 One of my coaching clients, Vanessa at Pre-K Pages, is a brilliant entrepreneur in the Preschool world. Yes, you read that right. 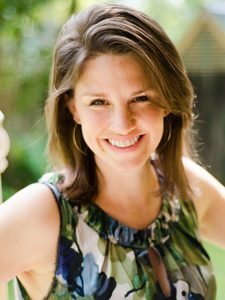 She has a thriving membership site for Pre-K and Kindergarten teachers and has gone from “blogger who has a bunch of products” to Smart CEO in just a few years. So when Vanessa wanted to get some BIG insights for marketing her membership site a few weeks ago, she reached out to two other entrepreneurs who also serve teachers. Because people with businesses close to yours have experience + insights that *directly* apply to you. Sure, Vanessa could get all mine-mine-MINE! and hoard her precious business knowledge, suspicious of threats from the “enemy,” but she’d miss an incredible opportunity to grow in her business alongside women who understand her and her audience, and who don’t tear each other down, but collaborate so everyone wins. Vanessa came away from a weekend retreat with those two other teacher-entrepreneurs with specific action steps for her checkout process, her FAQ pages, and fresh insights for how to get more members to her membership. Working with your competitors can be GOLD. The internet is BIG and the people who are going to buy products/services from you are buying partly because they want to buy them from YOU. “Competitors” are actually potential allies. #3. 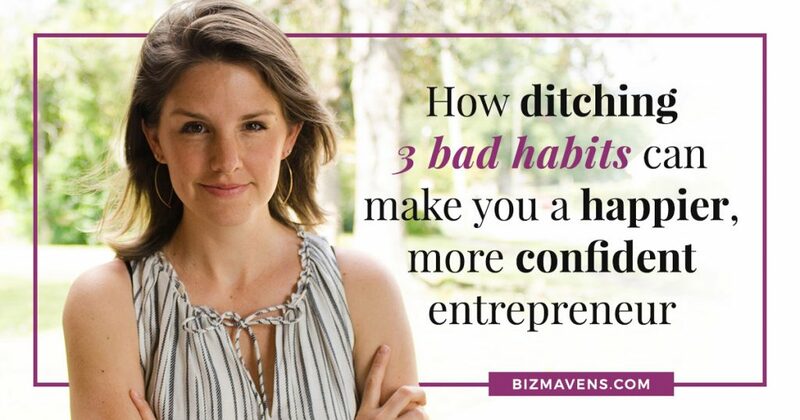 It’s a bad habit to entrepreneur alone. 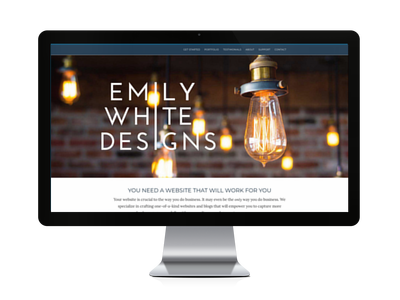 Six years ago, when I was just cutting my teeth as a web designer, my friend Emily and I started a co-working space. She was in Texas and I was in Alabama, but every afternoon when we sat down to work, we turned on Skype. We’d just sit there working at the same time, on a live call. Emily always chose the music (she has way better musical taste than I do), and we’d simply work quietly together. Sometimes I’d ask for feedback on my designs, and occasionally she’d share her work and I’d make comments or ask questions. When I got stuck? Emily was there to give me design advice. When she was frustrated with a client, I was there to pitch in with suggestions for her business contract to help avoid things like that in the future. Have you ever tried to make a big business decision without any input? Even on the tiny, day-to-day stuff, wouldn’t it be nice to have other women to bounce your ideas off of? Or to give you honest feedback, in a way that your husband or gal-pal just couldn’t? Action: Find like-minded women entrepreneurs — yes, even in your own niche — who want to do business together. It may not be as extreme as my live coworking sessions with Emily, but even setting up a private Facebook group with a handful of ladies where you can encourage each other and give accountability and feedback can be priceless. It’s a bad habit to take advice from people who don’t have what you want. Whether it’s the “thought leaders” you follow online or just other entrepreneurs, find people who have both the kind of business and the kind of life you want, and follow their lead. It’s also a bad habit to see your competitors as the enemy. That woman in your niche—that smart cookie who’s tearing it up in business? She could be your biggest ally. Find ways to enrich her business, and you may end up enriching your own. Finally, it’s a bad habit to entrepreneur alone. Make encouraging, strong biz friends who have goals, and plans of their own so you can cross the finish line together. But where do you find biz friends like that? Start by looking around you. Are you in a Facebook link swap group already? One of those 10,000-person free-for-alls? You might not need to look any further. Take notice when someone says something inspired — smart, or goal driven — that shows she’s not just another “blind follower of the crowd.” Or even if she asks smart questions! Click through that woman’s blog or website and see if she’s running her business the way you want to. And don’t look for people light years ahead of you. Find women at about the same level so you can grow together. And if you’re completely alone in the online world? Join a course. Take a class. Rub elbows with women in a smaller setting and again, look for like-minded ladies who are clearly driven and doing things the smart way. And in both cases, announce your intention! If you plan to launch a product in next 12 months, then say so! You want to find and attract people who are headed in the same direction. 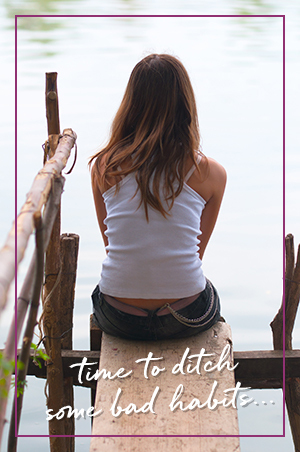 If you’ve been taking bad advice, fearing the competition, or trying to grow your biz solo, then do what my fiction-loving 7th grade friend Melissa didn’t do in time, and drop those bad habits, fast! You’ll be happier, more confident, and make smarter, more profitable decisions. great article. Even for people just getting their toes wet. I will take all the good advice I can get. Thanks! Unfortunately, food bloggers can be catty + competitive. Not YOU, Heather…just some people. 😉 But there are tons of other business-minded women who are ready to move up *together. * Those are your people. Such great advice, especially about seeking advice from people who are actually where you want to be! Thanks for sharing. I’m glad you found it helpful, Lauren. So important to keep focused on where you want to end up, and not get distracted by other bright, shiny objects! Love this article. My sister and I made that mistake of taking bad advise from people who didn’t understand us. It’s people like you that keep me motivated. Thank you! It’s a good thing you have a sister to walk this journey with you, Ayanna. You have a built-in, tiny support group! I couldn’t agree more. I am amazed at how many people will not help you in the blogging world and how many are willing to sell what they haven’t even accomplished. Every time I see a program or e-book I look to see if that site/person is doing what they are suggesting the program will do and the truth is I have found very few accomplishing what they are selling. I can’t believe that in this day and age of technology people believe there is not enough to go around and simple will not answer any questions without redirecting to what they are selling. And you are right you need others, but finding someone without the the scarcity mentality is hard.